I was 9 hours into playing a mobile, free-to-play, build and battle game when I made the decision. I was going to pay to win. Not necessarily because I was loving the game so much as I thought it would be interesting to document. If I spent $100 on in-game currency, how far would my money go? Was it enough to ascend to the highest levels of that week’s PvP tournament leaderboard? The tournament was only a few hours old. Having spent about 7 minutes fighting PvP battles, I was currently ranked #13,909 on the leaderboard. 7 days later, I will have spent over 6 hours and $60 in energy costs to finish in 15th place. As a monetization design consultant, I have learned many lessons from games in the build and battle genre whose top contenders are permanent fixtures of app store highest grossing charts. I explain the importance of having a social elder gamer such as the PvP tournament I participated in for those games where it is appropriate. The game I played in this instance is not especially important. There was a city that served as an appointment center. There was a single player, PvE campaign, and what I will call pay-for-participation events including the PvP tournament, a form of guild warfare and a PvE boss battle system. There was energy gating. There was gear fusion. There were prize chests. It could have been one of any number of games, but I will say it is not currently on the top 150 grossing chart in iOS/US. While preparing for a recent Thanksgiving trip to visit my family in Chicago, I decided to pack a mostly unused Android tablet. Although I purchased the 7” Galaxy Tab for mobile game testing I could easily part with the device given the number of iOS and Android devices I owned. I plotted to load it up with movies, games and a few apps, bring it to my Grandmother in the assisted living home, and see if I could teach a woman who had never owned a personal computer, smart device or email account to use a tablet. Over the past year and a half that I have worked as a monetization design consultant writing, lecturing and working on F2P games, I have grown to be a vocal, public champion for the business model. Yet teaching my Nana to play games I publicly praise, I saw firsthand how valuable it would be to have an IAP off button. As more mobile game developers move into the F2P space or integrate IAP into their premium game, a common set of problems occur around process (or lack thereof) when it comes to designing for monetization. Many game teams I talk to or work with in my role as a monetization design consultant are working in F2P begrudgingly. They distrust the business model and this sentiment bleeds through to the game’s implementation, limiting their chance for success. In my opinion, the ideal game development process on a game with IAP will consider monetization from day one. Not only will the design of the game as a business be considered from the outset, but each member of the team will embrace the business model in their work. This does not mean starting your first discussion of the game with the question “how do we milk our players for all they are worth?” Instead, it means that each member of the team recognizes that success depends on a game that forges a long term relationship with the player and is unafraid to ask the player for money when appropriate. This idyllic vision is at odds with what I tend to see out in the real world. In practice, there tends to be one person on the team responsible for the money side of game design. This person (be it product manager, producer, CEO or other) leads a frustrating life where she is constantly suggesting ways to improve the game only to be shot down by her teammates, or fighting to get a small part of her overall ideas implemented. This results in a compromised game where monetization elements are hidden from the player or overall lacking, and can result in the failure of an otherwise good game. When it comes to superheroes and intellectual properties in general, there is no name bigger than Batman. Thanks to Robert Downey Jr’s charisma and Jon Favreau’s directing, Iron Man is having an incredible resurgence over the past few years. But in terms of perennial, world-wide appeal Bruce Wayne is right up there with Michael Jordan and Star Wars in the pantheon of intellectual properties. The fact that NetherRealm’s free-to-play Arkham Origins is currently enjoying a top 5 position in the US free charts on both iPhone and iPad is not a surprise. What is surprising is that relative to the incredibly strong performance of the studio’s first free-to-play outing, Injustice: Gods Among Us, the Caped Crusader appears to be significantly underperforming. 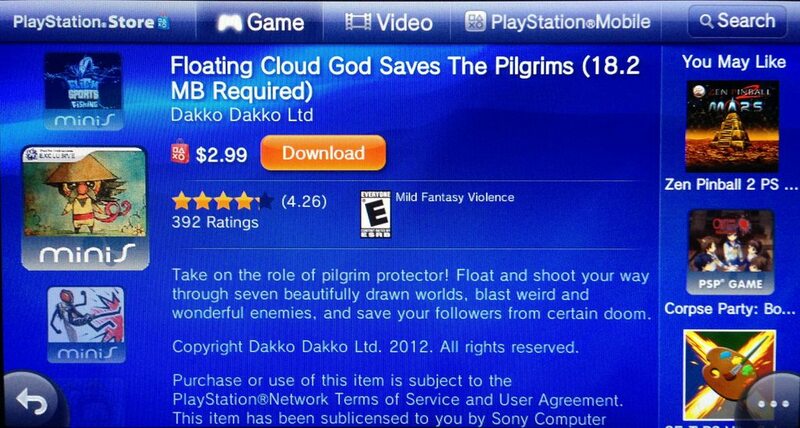 I found one with an intriguing name and icon, Floating Cloud God Saves the Pilgrims. I clicked the icon and was disappointed with the amount of information the Vita gave to help me make a purchase. Here I was, looking for an excuse to open my wallet and there was no video, no screenshots, no Metacritic, no clear explanation of genre. No doubt inspired by stories like the 8 year old girl who spent $1,400 inside of Smurfs for iPad, the report is one I have heard concerns about when talking to clients over the past few months. I am no lawyer, and this post in no way should be taken as legal advice, but my personal interpretation is that these 8 principles are largely great for game developers. Over the past year and a half as a monetization design consultant, one of my core tenets is to make purchasing present. Perhaps the biggest missteps I see in games with IAP is that the developer appears like they are doing everything possible to obscure the fact that a player can spend money within the game. When I get in front of audiences at GDC and other events, I coach that IAP are like banner ads: one must create hundreds if not thousands of impressions of the ability to spend money in order to generate a single purchase. I am not talking about bombarding the player with frequent blocking modal dialogs. This tactic is likely to frustrate a player and cause him to quit your game permanently for another. An excellent example I point to in making purchasing present is Bejeweled Blitz. If I were to open up Bejeweled Blitz and play 10 matches of the game, I would see the Add Coins button 20 times within that session. It is not blocking my progress or making a nuisance of itself. But simply by playing the game and following the path of least resistance, I see the ability to spend money regularly. Purchasing is present.